When hair loss occurs, whether due to health reasons, natural balding, or an accident, people may opt to wear a wig to restore their appearance. People may also wear a wig on occasion for a costume or to achieve a certain style or look. On a basic level, a wig is defined as a covering for the head. It can be constructed using either real or artificial hair and may be any variety of length, color, and style. There are many different types of wigs available today. But, the main decision to consider when wig shopping whether to opt for a human hair wig or a synthetic hair wig. Human hair wigs have a natural aesthetic and feel that’s widely preferred by wig shoppers. Also, human hair wigs can be altered quite easily to achieve the look that you’re going for. Human hair wigs are more expensive than synthetic wigs, but are also sturdier and of a higher quality. Not everyone who struggles with hair loss wants to wear a wig. Whether it’s due to discomfort, fear of the wig falling off, or any other reason, wigs aren’t the best choice for all. That’s why we’ve gathered up the 4 best wig alternatives around. These alternate options provide hair coverage like a wig, but offer varying benefits and features. Continue reading to learn all about the many available alternatives to wigs. A head scarf is a stylish and versatile alternative to a wig, especially for women. This option is comfortable and lightweight, making it more convenient and preferable to a wig for many people. Plus, you can switch up the head scarf that you wear on a daily basis, making it a fun fashion statement. Head scarves come in many different colors, styles, and materials. Many head scarves are made from light, thin fabric such as chiffon or silk. Head scarves may also be made from lightweight cotton. The heavier the fabric, the more difficult it will be to tie, so most people avoid bulky fabric when making a head scarf. Head scarves present an assortment of benefits when compared to wigs. These benefits are listed below. Head scarves are more comfortable than wigs. While a wig may itch or become hot, a scarf is lightweight and made from thin, smooth material. It won’t cause your scalp to overhead or irritate skin. So, a head scarf is an awesome wig alternative for those with sensitive or dry skin. It’s more affordable to own an assortment of head scarves than it is to own a variety of wigs. 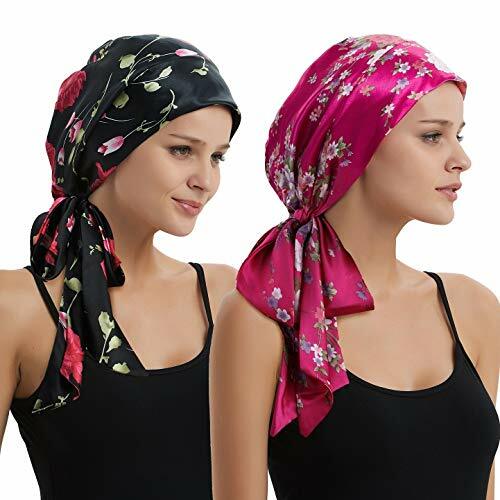 While comfortable wigs can be a sizable monetary investment, good head scarves are often quite affordable, especially if purchased online and on sale. Head scarves provide sun protection for your scalp to prevent sunburn and skin irritation. Head scarves take up very little storage space and are easy to maintain. You can usually either hand wash head scarves or run them through the wash in a delicates bag. Wigs require more time and energy to maintain, and you must take special care when storing wigs to prevent damage. Head scarves are less secure to the head than many wigs. While a wig is designed to stay snugly on your scalp, a scarf must be tied in order to stay on the head. Head scarves are mainly worn by women and are less commonly seen worn by men. Men may have more trouble finding head scarf styles and designs. Head scarves are made from thin, lightweight material and therefore may rip or tear easily. Wigs are more durable and won’t become damaged as easily. Instead of wearing a wig, you can opt to cover your head with a hat. Hats are an awesome head covering option because of their versatility. There are countless hat options to choose from, and you can find a range of options to fit your style and needs. From winter beanies to baseball hats to fedoras and more, there’s no shortage of hats out there. There are hats for every type of weather and you won’t struggle to find hats within a budget. You may also opt to purchase a hat online or to find one you love in-store. 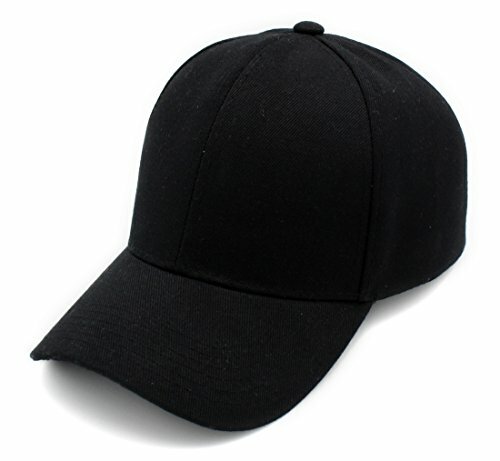 Department stores, boutiques, and large retailers such as Target and Amazon.com feature all types of hats for purchase. Hats are typically more comfortable than wigs, especially beanies and other similar options that are made of soft materials. Wigs can be itchy, as well as cause insecurity if they get out of place on the head. Hats are an accessory and can be used as a way to express your personal style. Hats will function to cover your head, but also to complement your outfit and add an element of visual interest. Hats will keep your head warm during the chilly winter months. It’s more practical and affordable to own a wide variety of hats than it is to own an assortment of wigs. Hats are easy to find and purchase at just about any retailer, so you won’t have any trouble finding good-quality options to add to your wardrobe. It’s considered impolite to wear hats inside of certain public establishments. So, as opposed to a wig, which you may wear indoors anywhere, you may be asked to remove your hat when you enter a religious building, formal restaurant or event, government building, etc. A hat may not be the ideal option for covering your head in all situations. For example, if you’re wearing an evening gown, you may not want to have a hat as part of the outfit. Depending on the type, hats can be difficult to wash. If you’re wearing a hat all day long, you’ll likely want to wash out any sweat and oils from your skin, but hats can’t typically be run through the washing machine. You’ll likely have to spot clean your hats, which can be time-consuming. A hair piece is similar to a wig, but the two head coverings differ in a few key ways. Hair pieces may not necessarily cover the entire head, but only the areas that are needed. Hair pieces can also be used to supplement thinning hair, making them useful for people who are not yet entirely bald. Wigs are removed by the wearer before going to sleep. While some hair pieces will require this same maintenance routine, it’s not always the case. Hair pieces can be made quite sturdy so that the wearer can keep it on through the night, as well as when they’re in the shower, working out, and more. These durable hair pieces often need to be put in by a professional at a salon, with the wearer coming in for touch-ups as needed. From toupees to extensions to partial wigs and more, hair pieces offer variety and versatility. This head covering is an attractive alternative to wigs for individuals with only partial hair loss or who simply don’t need full head coverage. Contrary to popular belief, a hair piece is not the same as a wig and has its own set of unique benefits, which you can learn about below. A hair piece offers the natural look and feel of a wig, but with greater convenience. You can find a hair piece to provide as much or as little coverage as you need so that you stay as comfortable as possible. Hair pieces can be made to stay on as you sleep, shower, and more. With this type of hair piece, you may even forget that it’s not your real hair! While wigs must be removed before bed and can’t be exposed to water without getting damaged, hair pieces can be made more durable to withstand these daily activities. With the many different types of hair pieces available, you can find one to perfectly suit your style. For longer hair, you can try out extensions. To cover up that one balding spot that’s driving you crazy, find a great toupee. The wide range of hair piece options is one of the greatest benefits of this variety of head covering. Hair pieces aren’t the best option for those that find a wig to be uncomfortable. Similarly to wigs, hair pieces are made from either human hair or synthetic hair, which can be itchy or uncomfortable for some. A hair piece will likely be more expensive than other wig alternatives including head scarves, turbans, and some hats. Hair pieces require more maintenance than a typical head scarf, turban, etc. For head pieces that stay in all day and night long, you’ll need to make regular appointments to see a professional stylist to ensure that the piece stays in great shape. You should also keep in mind that those periodic salon visits significantly raise the overall cost of wearing a hair piece. Due to the fact that some hair pieces only cover a portion of the head, this head covering may appear less natural than a wig. You’ll definitely want to opt for a high-quality option to ensure that the head piece has an attractive, genuine look. A turban is a stylish head scarf that’s similar to a head scarf as a wig alternative. Turbans, however, are generally made from a thicker material and provide more softness. Some turbans are casual and designed to be worn around the house, while others are quite stylish and can be made dressy with accessories. Turbans can also be worn by men and women alike, with various options available for each. There are various types of styles of turbans available today. One popular type is a headband style, which wraps mainly around the front of the head at the top of the forehead. Another turban variety it a knotted turban, which is a full head covering with a large knot centered over the face at the top of the head. Some turbans are more similar to a hood and easily slip over the entire scalp. For greater comfort, many turbans are lined with satin. This gives the turbans a softer feel while keeping the overall garment as lightweight as possible. Additionally, turbans can most easily be found at specialty online retailers and some major department stores. Turbans are soft and highly comfortable, making them a great choice to wear when you’re relaxing around the house, running errands, or going through your everyday routine. Turbans are stylish, and you can find one in just about any color and style. You can find turbans to match all different outfits to reflect your personal style. Turbans are highly affordable. You can easily find inexpensive turban options both online and in stores. Turbans provide more warmth than many other head covering options, making them an awesome choice in the winter when the weather is chilly. When compared to a headscarf, turbans are made from thicker material, which may get too hot during the summer months. Having your scalp sweat underneath a turban can get quite uncomfortable. One thing that wigs provide and turbans do not is the look of a full head of hair. Instead of wearing a wig, which will make it appear as though you have plenty of a hair, a turban will just cover up the scalp. The severity of this downside simply depends on your tastes and style preferences. Turbans are not fully secured to the head. You’ll need to make sure to tie it tightly to make sure that it doesn’t slip off when you move. Headscarves present this same issue.